Traffic is so bad nowadays that it affects the car parks. 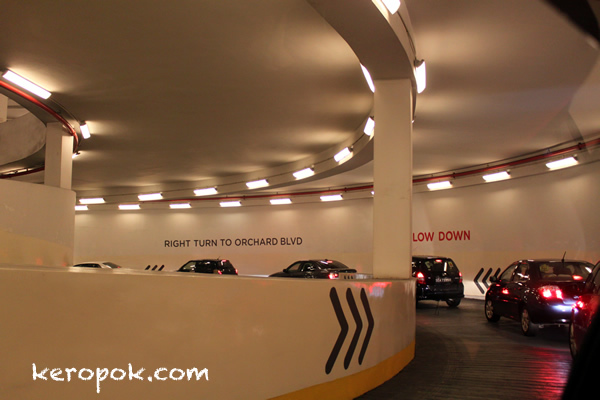 Cars queuing to get out of ION Orchard. It's only in traffic jams that you observe things around you. The lane is actually quite wide and there are so many lights too!